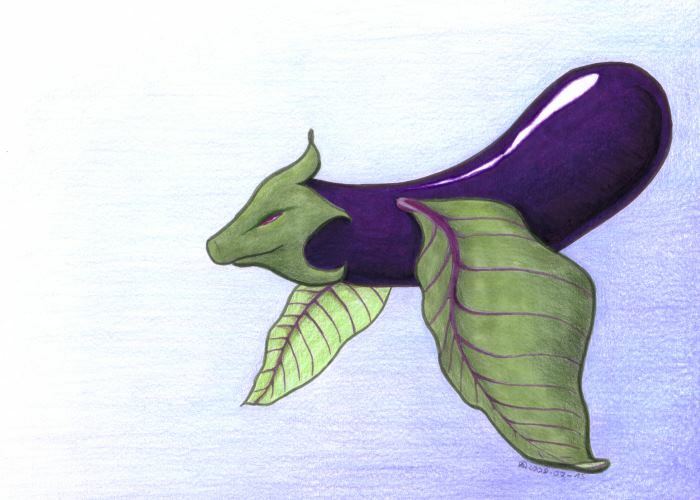 The day before yesterday, Mutt suggested some rather unusual dragons to me, including an eggplant dragon. Today, the Daily Drawing prompt was "draw an eggplant". I can take a hint when it's obvious enough. ;) Mostly markers and colourpencils on drawing paper, pretty much A4 sized. Colouring sky with pencils is boring.